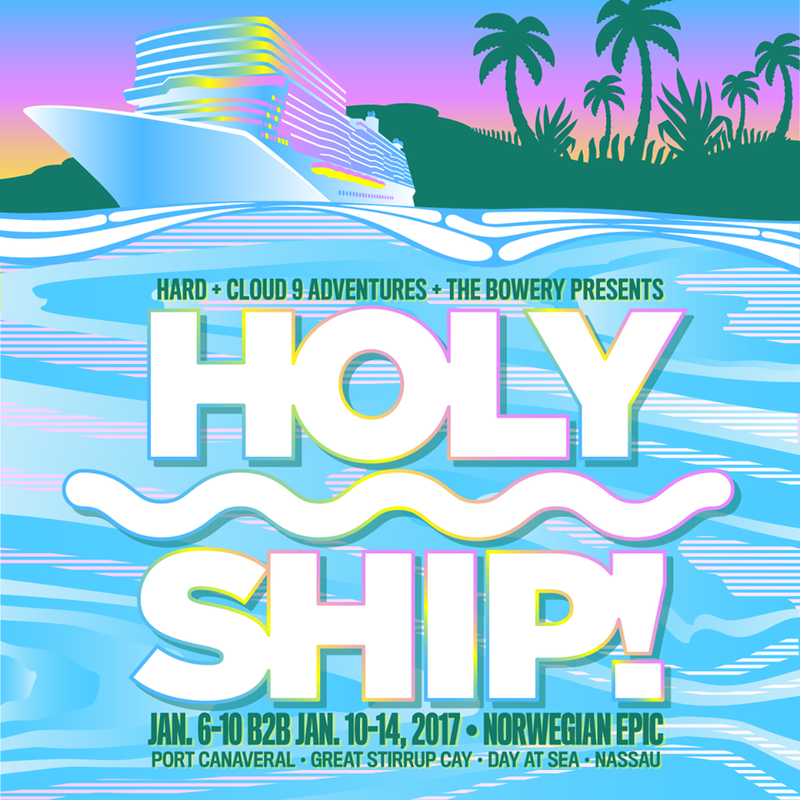 DESTRUCTO’s well known electronic music cruise HOLY SHIP! 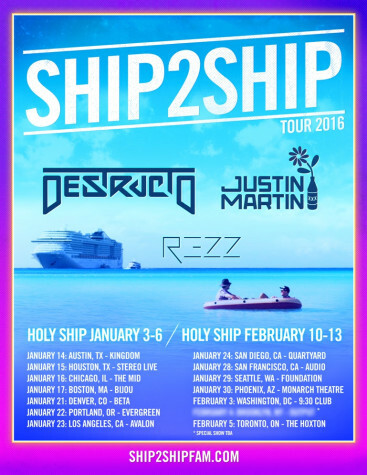 makes its return January 3-6 and February 10-13, also announcing his latest Ship2Ship Tour which begins Thursday, January 14 in Austin, Texas. Featuring well known acts like Justin Martin and Rezz to name a few of the other talents on board. The North American tour hits major cities on the east coast starting from Chicago then Boston and Los Angeles. The tour then wraps in Toronto just before the second Holy Ship! takes off. Along with the Ship2Ship tour announcement, Destructo releases his latest single, 'Bodyback' which will available on Friday, November 13 via records. Producing a dance-floor jam that reflects the style and sound that Night Bass records is known for. Using a dark yet rhythmic house approach that has its appeal for the the festival circuit this season. Destructo has also released a new mix on BBC Radio 1's 'Diplo and Friends', featuring fresh new tracks and a selection of artists from his 'West Coast' EP, like AC Slater, Jauz & At Dawn We Rage, Justin Jay, Hotifre.